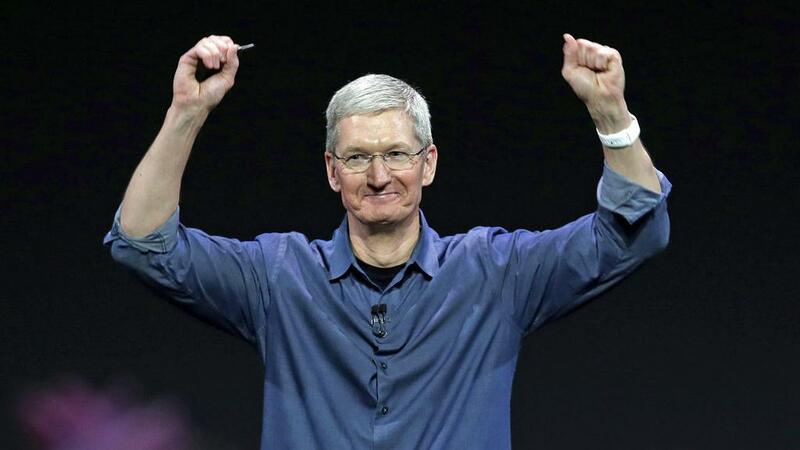 Another triumphant earnings report for Apple. Yes, iPad sales were down again, but that was expected. What came in ahead of expectations of were both Mac (+21%) and iPhone sales (+16%). 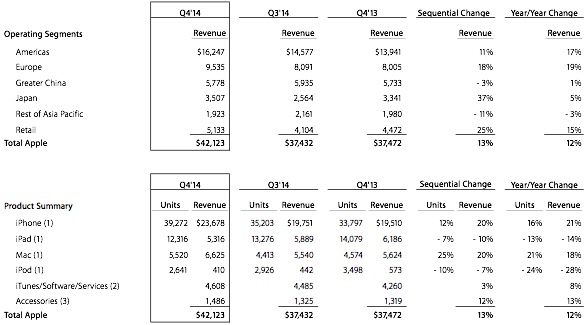 Quite naturally, Apple Q4 2014 also saw record revenues and profits. Yes, Virginia, there is a Santa Claus and his secret identity is Apple CEO Tim Cook, who just reported another quarter killer. Apple’s $8.5 billion net Q4 profit was 13.3 percent higher than last year. Additionally, revenue hit a staggering $42.1 billion, up from $37.5 billion, which easily bested the top Street estimate of $40 billion. “People hold on to their iPads longer than they do a phone. And because we’ve only been in this business four years, we don’t know what the upgrade cycle will be for people” — Tim Cook. Strong iPhone 6 and iPhone 6 Plus sales, as well as iPhone 5s + 5c sales that didn’t significantly software ahead the big rollout, helped Apple ship 39.3 million units — a new record. — “We’re selling everything we’re making. It’s a good problem to have,” Tim Cook regarding Flash memory supply.